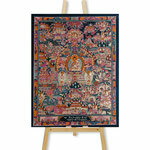 The background of this thangka recalls the galaxy with its stars. 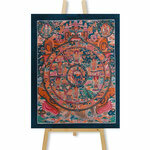 This kind of roll painting is rare in Nepal. 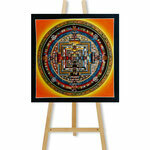 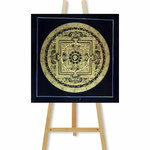 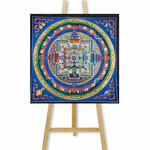 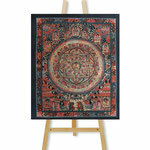 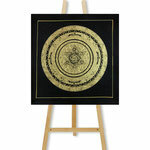 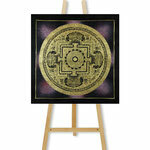 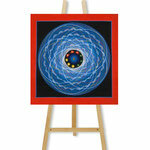 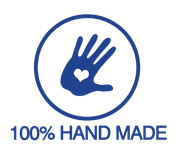 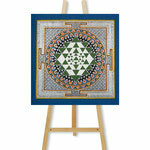 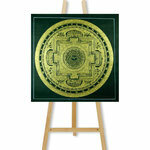 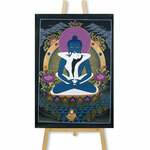 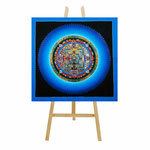 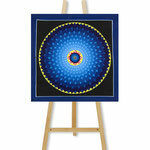 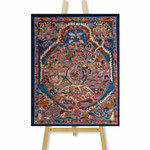 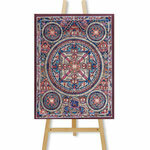 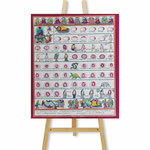 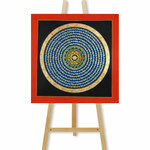 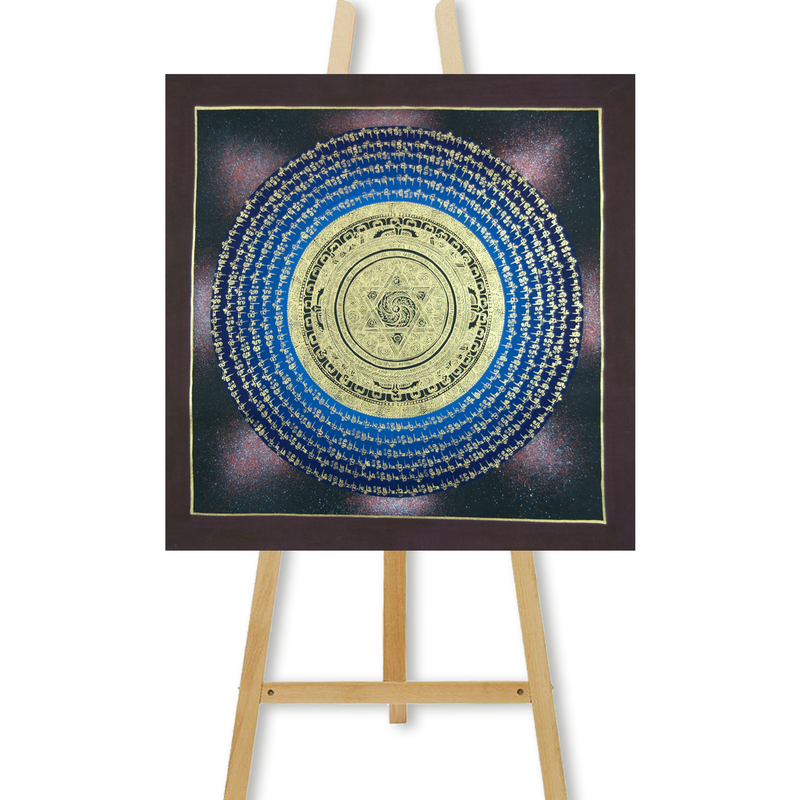 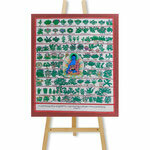 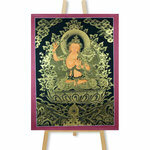 The mantra mandala plays with the most powerful mantra Om mani padme hum. 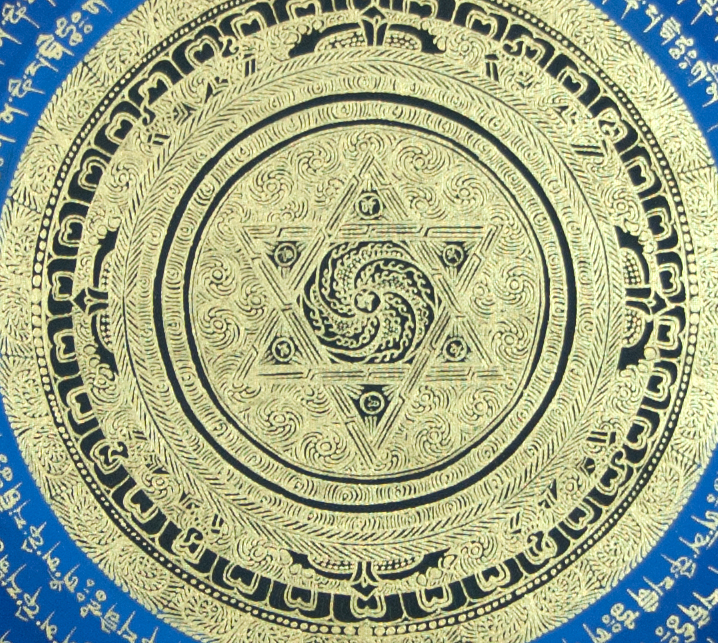 It is painted on brown ground. 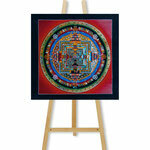 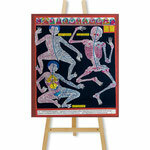 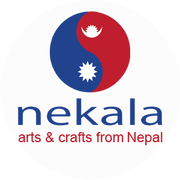 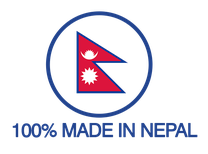 It was handpainted in Nepal.